Snow barriers. Supporting structures in Alpine areas for stabilisation of layers of snow. The kit includes 10 snow bridges as a set. 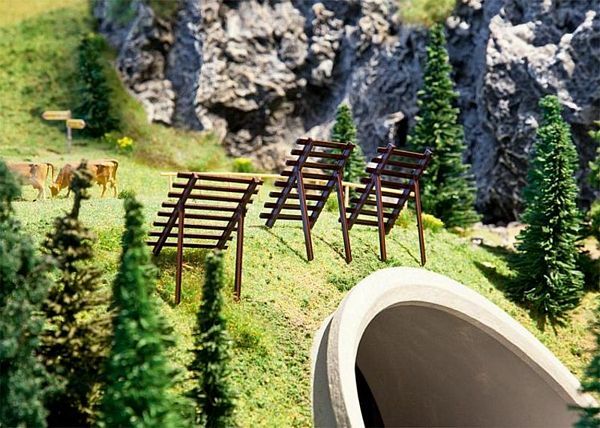 You can use these to protect your miniature population from avalanches. This building kit contains: 30 single parts in 1 colour.